Instant Pot Mashed Sweet Potatoes with Candied Pecans is the perfect seasonal side dish to serve at your holiday gatherings! Quick, easy, rich in flavor, and topped with a bit of sweet crunchiness, you can have this dish ready in half the time as the traditional version. 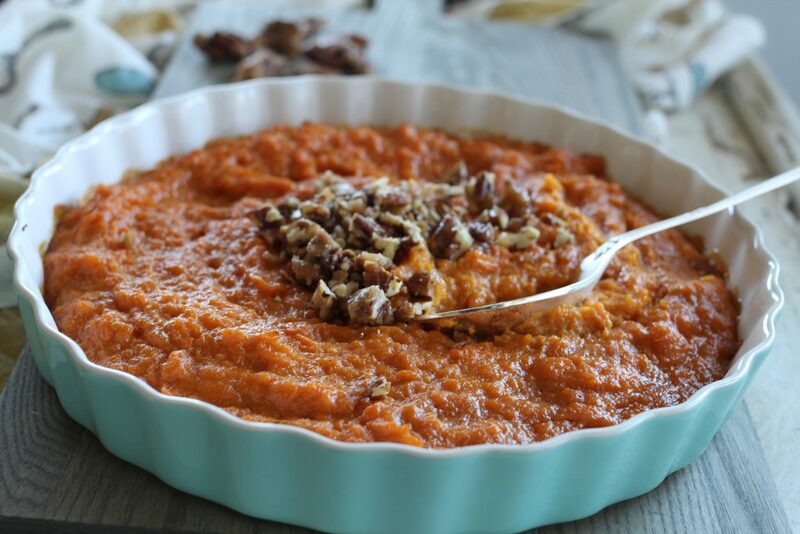 Who loved mashed sweet potatoes with candied pecans? One of the downsides to this recipe is how long it takes to cook. The Instant Pot has become a one-pot wonder machine, and is used on a daily basis in our home. I love how it cooks food quickly and thoroughly, without losing any of the flavor. And it does just that with Instant Pot Mashed Sweet Potatoes with Candied Pecans. It’s one of the most timeless holiday flavor combinations and can be made in a fraction of the time as the traditional recipe. 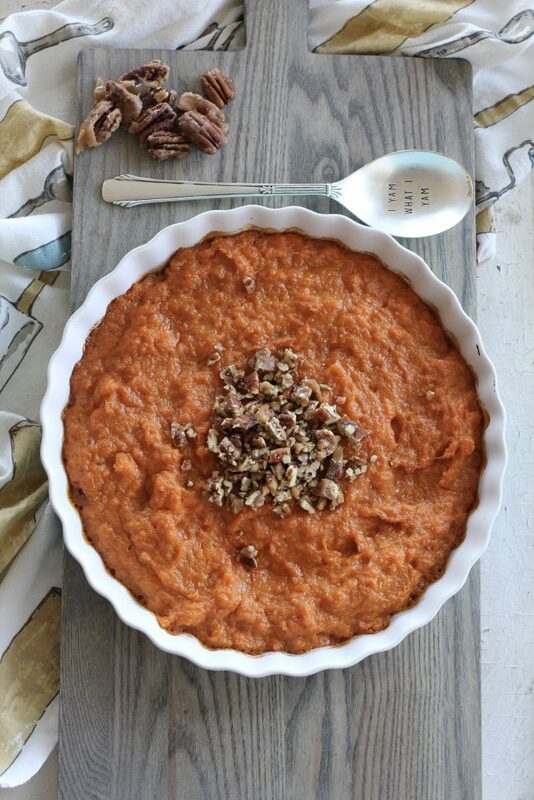 No holiday dinner menu is complete without without sweet potatoes. 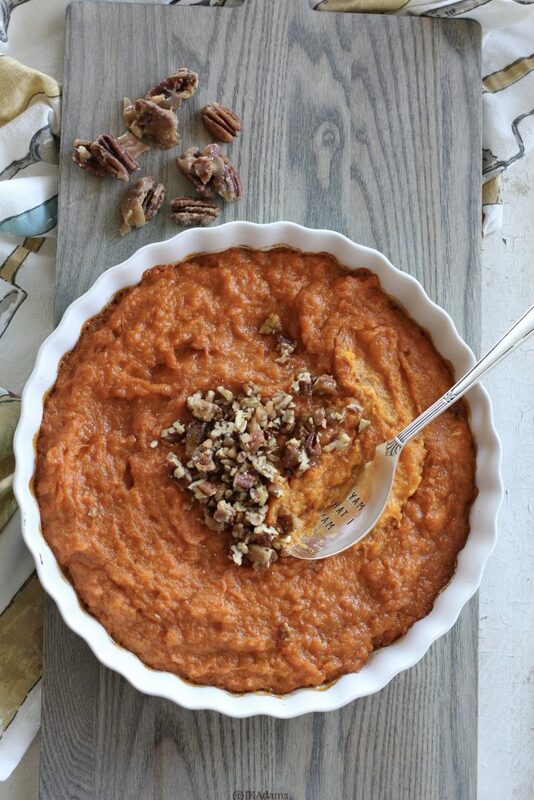 Save some oven time this year by making Instant Pot Mashed Sweet Potatoes with Candied Pecans! If you don’t have an Instant Pot, it is the perfect way to cook any kind of potato and keep warm without cooking on the stovetop. It makes things simple for those hard at work in the kitchen this time of year. Some other great potato recipes to use with the IP are Instant Pot Mashed Potatoes and Instant Pot Potato Salad. 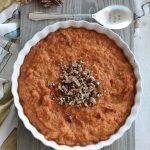 Instant Pot Mashed Sweet Potatoes with Candied Pecans are creamy, rich, and can be made in minutes. They’re also great to make ahead! Just pressurize potatoes, mix in the rest of the ingredients, and refrigerate in a baking dish. 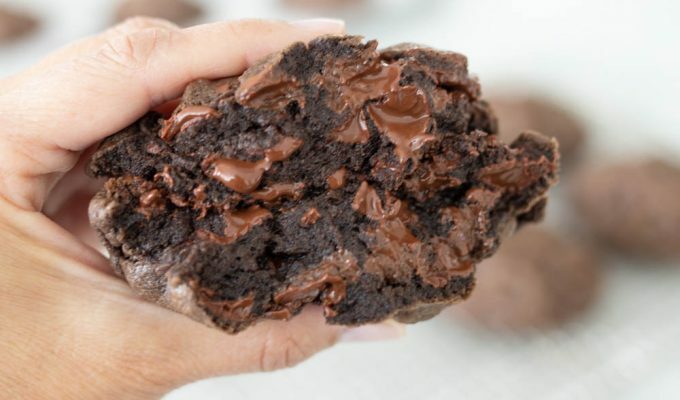 When you’re ready to serve (up to 5 days later), remove from fridge, let it sit on the counter for one hour, and bake as directed. Holiday dinners just got a whole lot easier (complete directions on recipe notes). Instant Pot Mashed Sweet Potatoes with Candied Pecans are the perfect dish to add to your holiday dinner menu! They’re full of rich, smooth sweet potato flavor, and topped with a nice sweet nutty crunch that will have your guests coming back for seconds, thirds.. maybe even fourths. And if you’re looking for more sweet potato recipes, try Savory Yams with Bacon and Thyme, Chunky Yams and Apples, Balsamic Roasted Yams and Onions, or Scalloped Sweet Potato Stacks. Happy holidays! Place 4-5 lbs yams or sweet potatoes cleaned and cut in to 2-3 inch chunks into the Instant Pot. Turn the lid to the closed position, and make sure the top is set to the "seal" position. Set the timer for 15 minutes on high pressure. Once the timer has gone off, let the pressure naturally release (about 5-10 minutes). Release any remaining steam, remove potatoes carefully. Remove skin. Wash out pan or use another bowl. Add butter, half and half, brown sugar, vanilla, sea salt and cinnamon and mash with a large spoon or mixer. Place in two greased pie plates or one 9x13 pan. Bake at 375 for 30 mins until heated through. Top with chopped candied pecans before serving. Sauté pecans in butter and sugar until caramelized over med-med high heat. Pour onto a greased sheet of foil to cool, then chop on cutting board when cool. Can be made ahead and stored in pantry. If making ahead, cook potatoes, add all ingredients pour into baking dish. Place in refrigerator covered. When ready to bake, remove from fridge, take off covering. Cook for 30-40 minutes, remove and top with candied pecans just before serving. 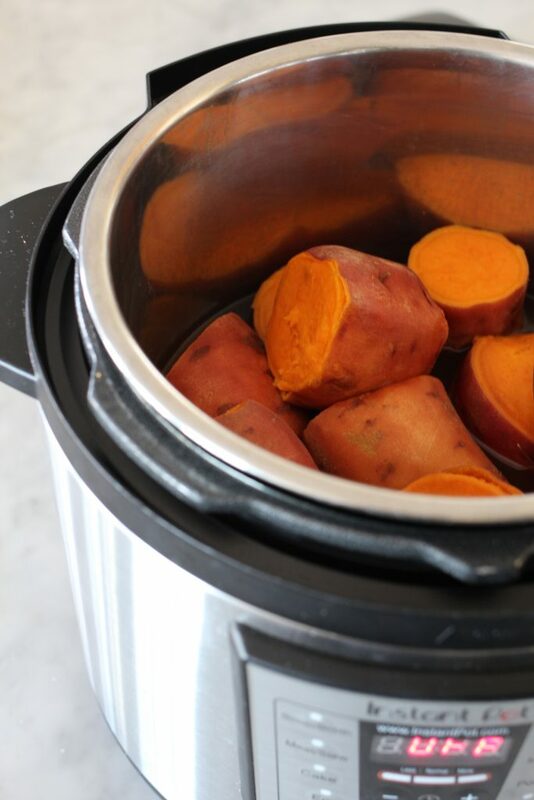 How long do you cook the yams in the Instant Pot? I’m excited for this recipe. Thank you Si! Hi Peggy, I just fixed the recipe. This is such a great recipe for the holidays. Thanks for your comment! How many minutes do you set the timer for? It should be fixed now, Juliane. Thanks for letting me know! You didn’t mention how long to set the timer. Just fixed it, thanks for letting me know, Susan! In the candied pecans it calls for 1 c water but doesn’t list it in the instructions? ?